IPL (Intense Pulsed Light) is used to treat sun damage, age spots and rosacea. IPL is commonly used on the face, neck, shoulders, back and hands. It is also known as Broad Band Light (BBL), Photo Rejuvenation or Photo Facial. IPL light penetrates the skin in a range of wave lengths that targets red and brown spots resulting in a beautiful even skin tone. IPL brightens the skin. Depending on the severity of the symptoms results can be seen in 1-3 treatments. While IPL is not technically a laser, it provides benefits similar to laser resurfacing treatments. IPL Therapy is a true breakthrough in treating acne scars as well as sun damage and issues related to discoloration. Intense Pulsated Light (IPL) Therapy works by emitting short waves of intense light which destroys pigmented cells to diminish undesirable discoloration. IPL can be very effective for the redness and flushing component of rosacea. By treating the blood vessels causing rosacea the vascular response is diminished. We have seen dramatic results for patients with rosacea even in patients suffering with stinging and burning sensations. After several treatments their symptoms are frequently gone. While IPL Therapy will not “cure you” of rosacea, it will significantly treat the physical component of the disease process. Typically on average 3-4 IPL/BBL treatments are needed to clear up recurrent rosacea symptoms with another treatment recommended about once a year for maintenance purposes. These treatments are relatively quick treating the entire face in about 20 minutes. Face, neck and chest treatment packages are available. A series of at least 3 treatments is usually recommended. The results are magical. IPL Therapy is an excellent way to treat the redness and flushing caused by rosacea. Over a period of 3-4 weeks, vessels are re-absorbed and facial redness diminishes. Patients with rosacea that are expected to do best with laser therapy are those with Telangiectasia. IPL offers a practically painless and long term solution for rosacea treatment. Never again do you have to suffer with the discoloration and the disfiguring, often embarrassing appearance of rosacea. 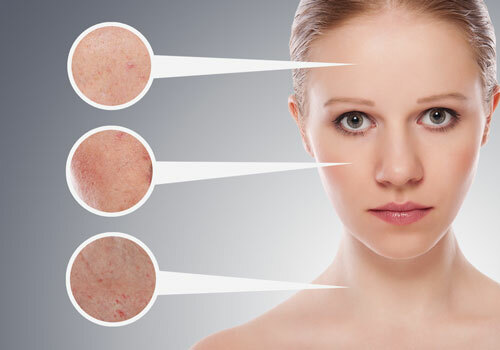 Call Sollay Medical Center today for a free consultation to evaluate your unique facial condition and the ability for IPL Therapy to make a difference in your life. Please call (410) 644-7655.